St. Petersburg startup Fotata has compiled a database of photographers from all over the world. Fotata is a service that helps customers search for and book photographers and video operators for individual shoots around the world. It currently offers the services of more than 350 professional photographers from 40 countries. The project covers the most popular tourist destinations and can link clients with photo professionals in more than 100 other cities. The service was developed in St. Petersburg and launched in September 2013. Each user has a personal page where the photographer uploads the images. The customer can view photographs there and download them if they would like to make a purchase. Next, the service sends the photographer money for the completed transaction. If a customer is not satisfied with their purchase or technical problems occur, Fotata consults with independent photographers to decide whether the claims are valid. If the quality of the work is determined to be poor, then the money is not transferred to the photographer. Therefore, there is little risk to customers using this service. Money is transferred directly to the photographer only upon confirmation that the work has met the customer’s expectations. The site employs a system of ratings and reviews, which affects the photographer’s popularity on the site: the higher the rating, the higher the photographer will appear in search results. Of course, the higher one’s rating, the greater the level of trust between the customer and the photographer. Currently, there is a significant imbalance of supply and demand on the site. 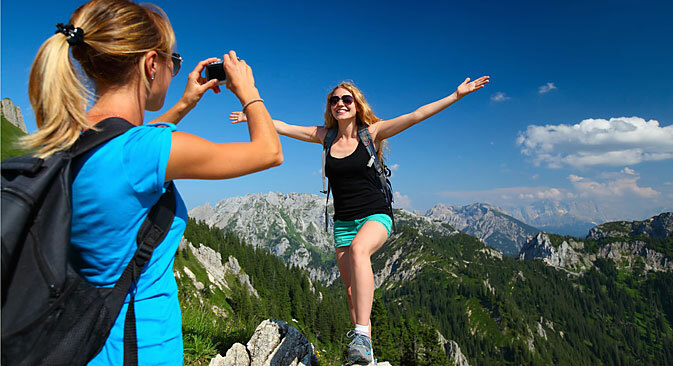 Most of the queries are connected with weddings, romantic portraits, hikes, or unique panoramas at popular tourist destinations. Photographers that are able to respond quickly with competitive proposals in these places have little problem attracting customers. While the company is entirely self-financed, the Fotata team is looking for investors to help take the company to the next level. Since its beginnings Fotata’s proprietors have sunk about $14,000 into the company. According to Mitrofanov, over the next three years Fotata plans to expand dramatically. It hopes to achieve a turnover of 100 million rubles ($2.7 million), make about 100,000 bookings annually, compete internationally and take 25 percent of the market share for booking photo shoots around the world. “We are moving step-by-step and are confident in the soundness of the chosen strategy,” adds Mitrofanov. Natalia Afonaseva, Chief Editor of the portal Peterburg2.ru says that Fotata places its main emphasis on the photo shoot, but that alone is not its winning concept. She says that having ratings and portfolios available on the site are very important. “We've been seeing a trend in the globalization of information,” she says. “Thanks to modern communications, you can write about anything from anywhere. But, it’s more difficult with photography,” she continues. Read more: Facebook beyond the grave: Are Russians ready for digital immortality?